Non-dilutive funding, in substantial amounts, is something nearly all biotechnology companies want, and few get. 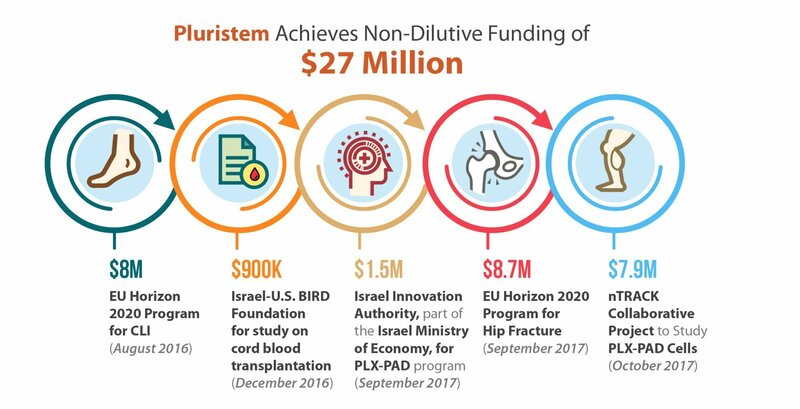 Although small grants from various government agencies like the NIH are helpful, and are available to a larger number of biotechs, Pluristem Therapeutics (Nasdaq:PSTI) has accomplished something quite unique in the last year as the recipient, of three awards totaling nearly $25 million from the European Union’s Horizon 2020 program as well as $2.4 million in smaller grants from Israel. A majority of these funds are aimed at bringing Pluristem’s Phase III assets to market and to better predict outcomes of cell therapy treatments. 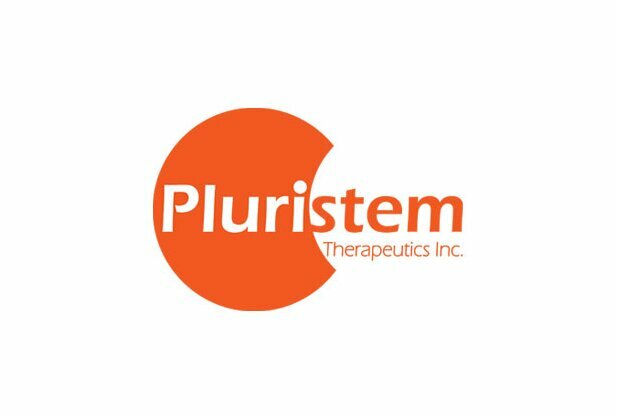 Pluristem’s lead asset, its PLX-PAD cell therapy, is currently in a multinational pivotal Phase III study for the treatment of critical limb ischemia (CLI) in 250 patients with CLI Rutherford Category 5 who are unsuitable for revascularization. These patients have very few remaining treatments options and will most likely be headed for amputation. Cell therapy may be the answer. The U.S. FDA has given Pluristem Fast Track Designation in this indication, while the European Medicines Agency (EMA) has selected the PLX-PAD program in CLI for its Adaptive Pathways project, the goal of which is to shorten time to market for innovative medicines. Europe gave the PLX-PAD program in CLI one more boost with the award of $8 million last August from the EU’s Horizon 2020 program, Europe’s largest research and innovation program. Clearly, the Europeans are eager for a novel cell therapy to treat CLI and they are banking on Pluristem to bring it to market quickly. Another $8.7 million was awarded to Pluristem just a few weeks ago, again from the EU’s Horizon 2020 program, for a planned Phase III study of PLX-PAD for post-surgical recovery following surgery for hip fracture. Pluristem has designed the multi-national study to enroll about 180 patients, with the primary endpoint being a Short Physical Performance Battery (SPPB) test measuring change from baseline to week 26 post-surgery. Faster recovery is critical for patients, and in Europe, where governments are often paying medical bills, it can save a lot of money. Thus, Horizon 2020’s grants may create a very favorable ROI for the EU. Pluristem itself is well positioned to benefit. While the EU, through the Horizon 2020 program, is investing in Pluristem’s late stage cell therapies and supporting their path to market, Horizon 2020 also appears to be keenly interested in better predicting patient outcomes. Pluristem just announced a $7.9 million grant from Horizon 2020 has been awarded to nTrack, a collaborative innovation project, which will work to predict cell therapy treatment outcomes by studying the nanoparticle effects of PLX-PAD cell viability and functionality. Pluristem received some smaller grants as well. A total of $1.5 million came from the Israel Innovation Authority to support the PLX-PAD development program, and a Smart Money grant was made as well from Israel’s Ministry of Economy and Industry to advance its products in China. Another $900,000 came from the BIRD Foundation for Pluristem’s collaborative study with the New York Blood Center to look at whether PLX-R18 cell therapy can enhance the success of umbilical cord blood transplantation. The company states that this non-dilutive funding “…will cover [a] significant portion of the costs of these studies,” but it is important to remember that these kinds of grants benefit the cell therapy market as a whole. The science is advancing and government-sponsored grants serve to identify the most promising product candidates.